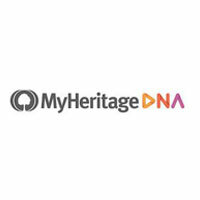 Top 10 DNA Tests - How Long Has DNA Testing Been Around? 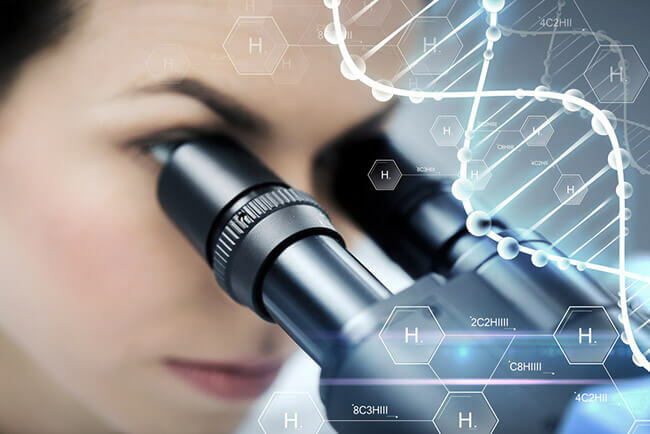 In order to uncover the very origins of modern DNA testing procedures, we have to go back to the times when polymerase chain reaction (PCR) and DNA profiling (or DNA fingerprinting) were developed. PCR was initially developed by Kary Mullis in the US back in 1983 (or 1985, depending on your source), and DNA profiling by Sir Alec Jeffreys in the UK in 1984. These two years are widely considered to be the birth of modern DNA testing. If you want to know more about scientific breakthroughs that made modern DNA testing possible, this article explores the chronological chain of events that ultimately allowed us to unlock all the secrets locked in our DNA. In the early 1920s, scientists discovered four different blood types based on the presence of certain proteins (antigens) in the blood. This newly discovered blood typing system, which was named the ABO system, allowed physicians to safely perform numerous medical procedures on their patients but also opened up tremendous possibilities for scientific research. Namely, once scientists figured out that blood types were biologically inherited, they realized they could predict the child’s blood type based on the blood type of the biological parents. However, information provided by blood typing is quite limited, so during the 1920s, it still wasn’t possible to identify biological relationships conclusively. In the 1930s, scientists detected other proteins located on the very surface of blood cells, which could potentially be used to identify people. They developed numerous blood group systems such as Kell, Duffy, and Rh based on the presence of different biologically inherited antigens. This type of testing is more reliable than ABO testing but nowhere near as accurate as modern testing solutions. We are making a huge leap to the 1970s when scientists working on tissue typing managed to discover the Human Leukocyte Antigen (HLA). This protein is present throughout the human body, with white blood cells having a particularly high concentration of HLA. Various types of HLA were discovered and variations were connected to biological relationships. 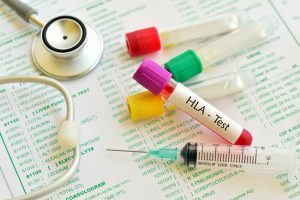 The exclusion percentage of HLA tests is 80%, increasing to 90% when coupled with ABO. The early 1980s brought a technique called Restriction Fragment Length Polymorphism (RFLP), which was the first genetic test that actually used DNA. Scientists managed to discover regions in the DNA that were very variable (polymorphic) and much more discriminating than blood proteins and HLA. This test has an exclusion percentage of 99.99% but is no longer used because it requires around 1 µg of DNA and takes a lot of time to yield results (10-14 days). In the 1990s, the previously mentioned PCR procedure replaced RFLP as a go-to solution for routine relationship testing. Since PCR requires less than one nanogram of DNA, DNA testing procedures no longer required blood samples since a simple buccal swab was enough to gather the required biological specimen. This transition made modern at-home DNA tests possible. The results of PCR DNA testing are usually available just one day after the sample is delivered to the lab and the accuracy of the tests is over 99.99%. The early 2000s brought a combination of thousands of SNP loci into a single test. Single Nucleotide Polymorphisms are letter changes in our DNA that are used as genetic markers for numerous applications.SNPs are used for ancestry exploration, health & wellness testing, and determining genetic predispositions for certain diseases and conditions. NGS, which is also called Massively Parallel Sequencing, is designed to generate a linear letter arrangement to represent your DNA sequence. 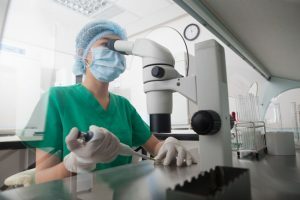 This modern procedure is most commonly used for non-invasive prenatal paternity testing and has eliminated the need to potentially endanger both the mother and the fetus in order to confirm or exclude biological paternity.